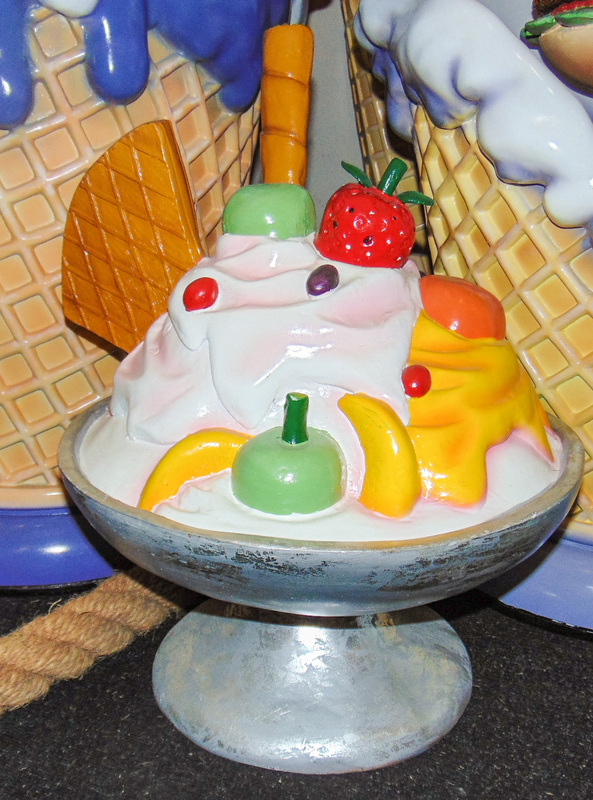 Our small replica Ice Cream Sundae Dish is full of lushious cream & fruit. 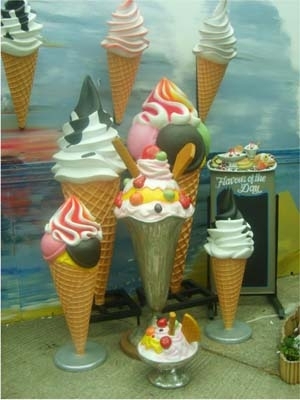 This point-of-sale model is wonderful for a counter-top or in a window to advertise Ice-cream deserts. This delicious dish of Ice-cream & fruit is a fantastic way to advertise your range of puddings & sweets. 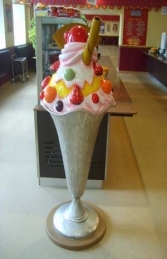 Our replica small Sundae in a silvered bowl looks scrummy.